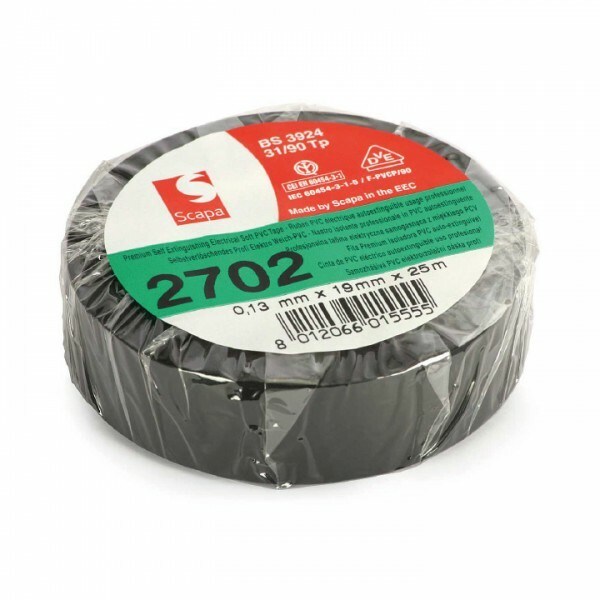 The tape is flame retardant and self extinguishing, making it safe to use on electrical cables. It has an easy tear and unwind. The tape is flexible and conformable to awkward shapes. It is also water resistant with a good abrasion resistance. It is also UV resistant and has a non corrosive adhesive.